In the crackle test a drop of oil is placed onto the hot plate and observed. If there is no water in the oil, no “crackling” will be observed. Conversely if the oil does contain liquid water, the heat will cause it to change to the vapor stage creating observable bubbles in the oil droplet. 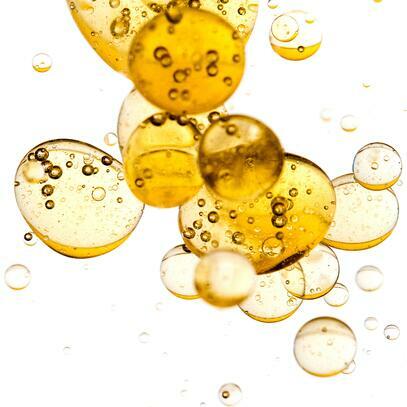 The size of the bubbles roughly corresponds to the amount of water present in the oil; the larger the bubbles, the more water there is dissolved in the oil. By observing the size of the bubbles created on the hot plate, some quantitative judgements can be made about the concentration of water present in the oil sample. In this test method, a known volume of oil is placed in a sealed container with a known amount of calcium hydride. The container is shaken vigorously causing the water in the oil to react with the calcium hydride, producing hydrogen gas. The amount of hydrogen produced is directly proportional to the amount of water in the oil sample. The most widely accepted method for detecting water in oil is by Karl Fischer (KF) coulometric titration (ASTM D6304). A Karl Fischer water in oil analyzer can yield highly accurate and repeatable results when executed by a skilled operator and is the comparative method for other analytical techniques for water determination. Also, the water can be measured in any state: dissolved, free, or emulsified. Most people are familiar with relative humidity in air, particularly in warm climates during the summer season. The ability of air to hold water vapor is temperature dependent. The same is true with oil. Typically the warmer the oil, the greater is its ability to hold water. We discuss the most common methods for measuring relative humidity of lubricating oils. A most promising technique for measuring water contamination is infrared spectroscopy. It is a widely used and accepted chemical-free measurement. In a very general sense, spectroscopy is the study between the interaction of radiated energy and matter. A spectrometer consists of a radiative source, a detector, and a computer or other converter of the detector signal to useful information. The sample to be studied is placed between the radiative source and the detector. Water absorbs strongly at a specific wavelength and the amount of water contained in the oil sample can be inferred by analyzing this absorbance. These five common techniques for measuring water in oil are described in greater detail in the guide and the pros and cons of each technique are discussed. Please click below to start reading your version of the free guide.